Arthur Vining Davis Hall was, like the other Social Dorms, designed by the firm of O'Connor and Kilham, and was dedicated November 16, 1963. Arthur Vining Davis was a member of the class of 1888. 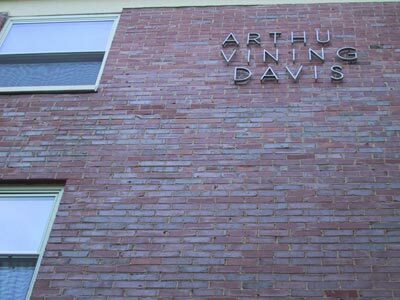 More recently, the Arthur Vining Davis Fund has been a generous source of funding for Public Television and Radio. 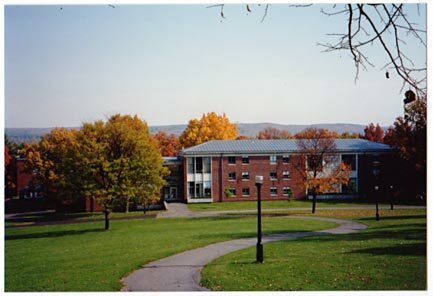 The Davis name replaced the moniker "D" Dorm. (Archives & Special Collections, Buildings and Grounds Collection, box 19, folder 9). (Photographs taken 12 October 2001).